It was a difficult decision, but we ultimately (and begrudgingly) decided that to grow as a company and to develop the products we - and our customers - want, we need to increase prices. Note that we do have some discounts available for students, enthusiasts, and small startups. First, the Logic Pro products are now shipping with 60% improved performance, which you can take advantage of immediately. In particular, you can now stream 6 digital channels @ 500 Msps, and 12 digital channels @ 250 Msps. Sample depth is limited to the size of your computer's RAM, as before. 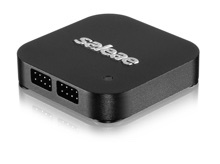 In addition, the increased funds will directly fund the development of new software features, in roughly the order they have been voted for on ideas.saleae.com. You can expect to see evidence for this no later than March 1st. Lastly, the increased funds will be used to directly fund new hardware development for a completely new non-logic-analyzer product that I think you will absolutely love. The speed at which both these programs (software and hardware) can operate is directly related to the available cash flow. This does not require long lead times for hiring, because we have already identified and begun working with great contracted engineering individuals and firms to help us in the areas where we are deficient and to increase our speed. Why did you need to increase the price? In the early days, we thought that it was pretty absurd how much test equipment cost. Over the years, we've discovered the reasons. The market is quite small. The amount of engineering that must be done is relatively large. Great engineers are very expensive. For every mid-level engineer we hire, we need to have at least $300,000 in revenue at an absolute minimum, and that’s just scraping by. 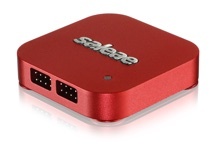 We also noticed that Saleae products were excessively inexpensive relative to our competitors and peers. A single software update to add I2S protocol decoding to a Keysight oscilloscope costs more than Logic Pro 16, even at its new higher price. Signal Hound sells their cheapest spectrum analyzer at $919, and that’s a fantastic deal compared to what what Tek would charge you. Total Phase sells their USB 2.0 analyzer for $1200. 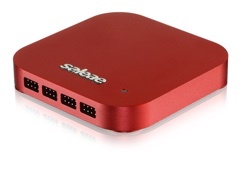 USB 3.0 starts at $3000. You might think that companies like Keysight, with their sky-high prices, would be super profitable. It turns out their profit is actually ~ 5-10%. I imagine an army of engineers designing ASICs is expensive. What happened to Logic 4? Logic 4 was actually the least popular model by a significant margin, and it didn’t make any sense to continue to offer it. Too bad, we thought it was pretty cool. Please let me (Joe) know. This was a tough decision and I look forward to your thoughts. We hope this decision will turn out be the right one, but it may well turn out to be wrong. Time will tell. Oscilloscope for digital debugging? Painful.